KEYCOM provides solutions in the 300 GHz to 1 μHz frequency range (SHF/EHF/MW/UHF/VHF/ULF). We undertake designing, manufacturing and measuring. Please feel free to contact us. KEYCOM develops and manufactures various radar systems to measure and evaluate such functionalities of mass-produced millimeter and microwave radars including in-vehicle radars as transmission power, frequency, antenna beam alignment, distance accuracy, bearing accuracy and receiving accuracy. KEYCOM’s product line includes the Radar Test System (RTS) that measures radar distance accuracy and transmission power, and the Rader Alignment System (RAS) that assists you to adjust the mounting position of the in-vehicle radar. "Radar Systems / Millimeter Wave Radar / Micro Wave Radar Development and Manufacture" are here. "Radar Cross Section (RCS) Measurement (Observation, Evaluation) Systems" are here. Laser pointer installable (option) This is a human body phantom for driving test of a collision avoidance radar (real run test), development of radar system, specific absorption rate (SAR) measurement of mobile phone, and for a test of wearable communication. The electric constant is based on IEEE15528. ○ It is possible to make a phantom to be separated its skin only. Please ask us. ○ Hole drilling is easy. KEYCOM provides a passive RTS with a very little frequency dependency in delay time and less insertion loss than a metal waveguide. Its distinguished features were made possible by applying a dielectric waveguide for its delay line to put its transmission in TEM mode. Available for 79GHZ, 76.5GHZ, and 24GHz. This is the delay line with no change propagation loss in any plane of polarization. If you frequency change , loss doesn’t change. The electric power isn’t used. 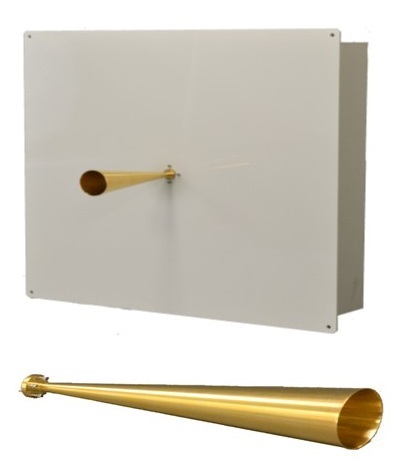 KEYCOM's ME7220A is a multifunctional radar test system that allows you to verify the radar measurement accuracy of the distance and speed indoors. It interfaces with spectrum analyzer and power meter for frequency and power measurements respectively. 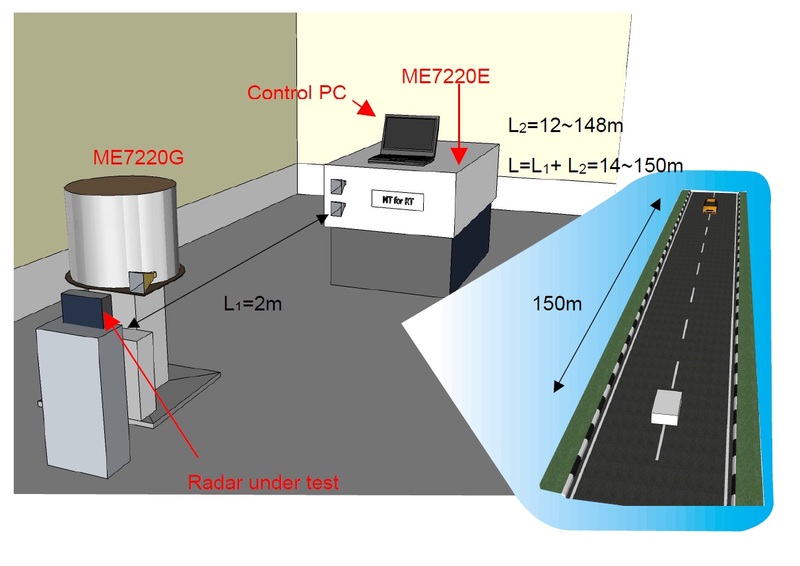 (2~3GHz for 24GHz and 76.5GHz system, 6~12GHz for 79GHz system) ME7220E/G is a collision avoidance radar test simulator that simulates the physical correlation between the radar under test and the car in front, prior to a collision. It not only allows you to test the tracking capability of the radar indoors easily and effectively, but exercises its capabilities for your pre-crash braking system development as well. With an optional function, it automatically activates the ME7220G, the passive moving target, when the simulated distance between the radar and the target is less than 12m, while the active moving target ME7220E is active when the distance is more than 12m. The full digitalization of radar wave response control allows a distance resolution 15cm step, and it also allows RCS Control responds to a distance change, with a high-precision and high-performance. KEYCOM privides you a wide range of support, from a development of radar to an evaluation of product at manufacturing line. 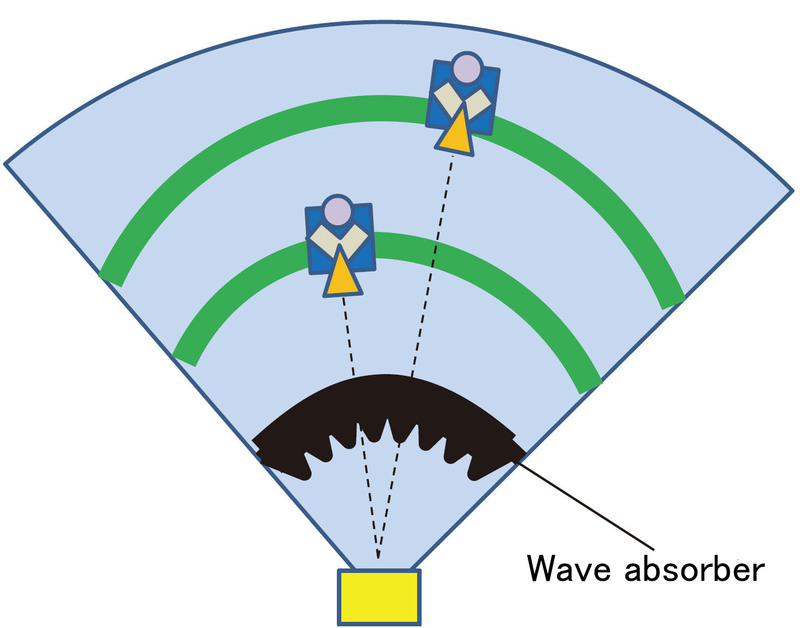 Waveform analysis of radar waves can be performed. By connecting this system to RTS, FMCW radar’ s transmission waveform can be analyzed. The parameters which can be analyzed are absolute value of frequency, straightness of frequency change, bandwidth, absolute value of electric power etc... This system is useful for a design development of radars, performance evaluation, analysis of radars with unknown specifications. In addition, the radar in the following link is usuful to calibrate this system. 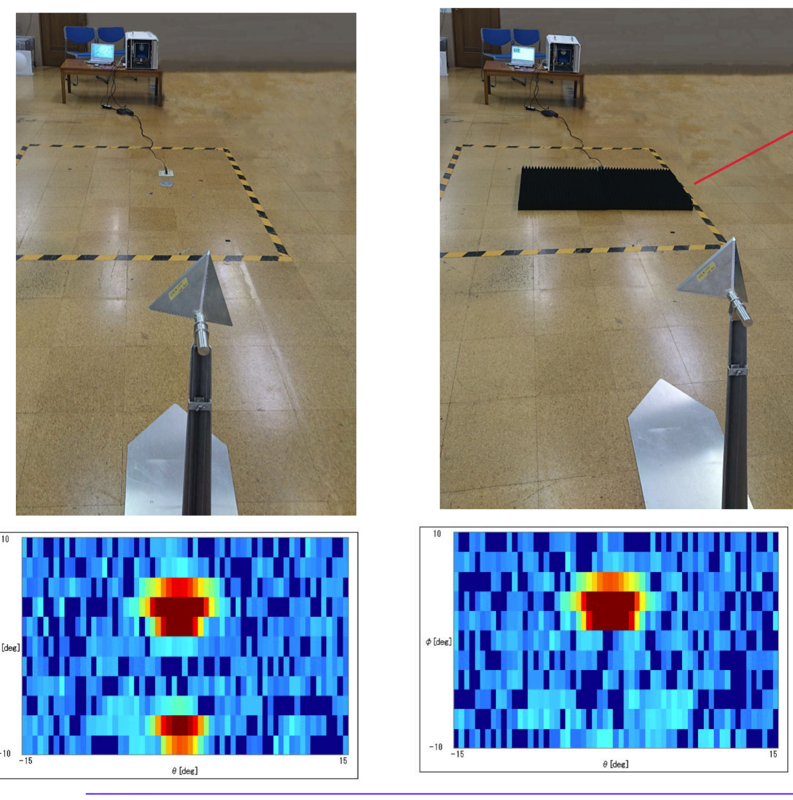 This is a moving antenna system to test radars to detect changing lanes of front running cars indoor. You need moving target beside this system. Simulator for Overtaking Vehicle Detection & Blind Spot Detection Radars. Creates images of reflection signals from targeted objects that actual collision avoidance radars are intended to receive nearly real-time. Because of the quake-proof construction, it can be equipped in moving object like a vehicle. 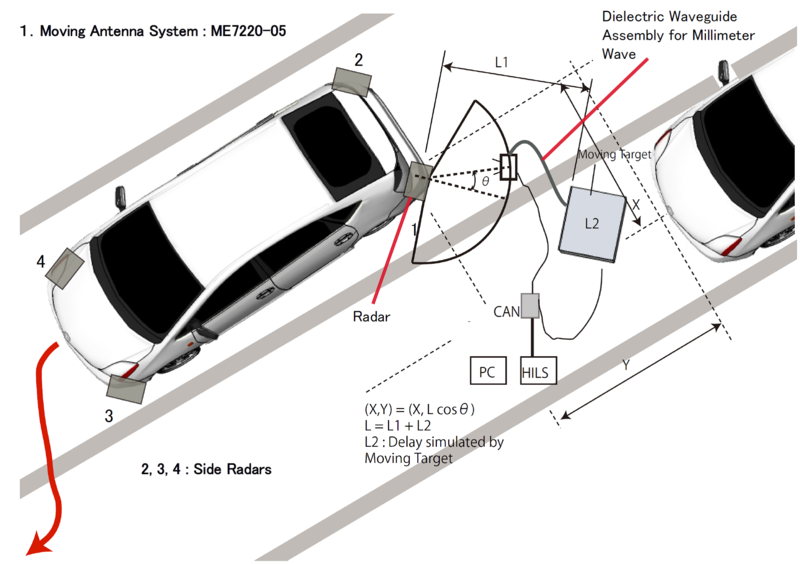 Radar for automotive which can create images of reflection signals from targeted objects that actual collision avoidance radars are intended to receive nearly real-time. This is an indoor mechanical radar alignment system. the radar mounting direction, while observing up/down of radar beam. When a radar is back of an emblem, this system can adjust not only the misalignment but a beam tilt of an emblem. 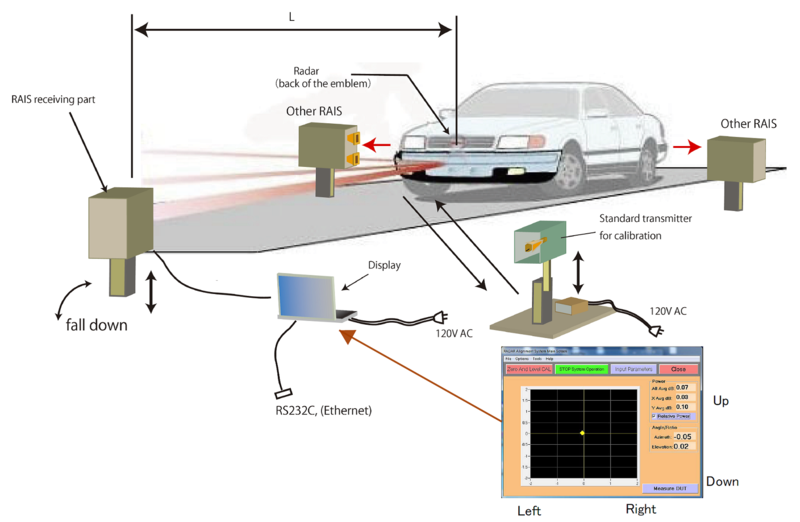 This is an effective way to check a radar aiming system, which adjust vertical direction of automobile's collision avoidance radar in order it faces parallel to roads. If radar wave is reflecting from floors(or something), you fail radar aiming. You can find such unnecessary reflection quickly. 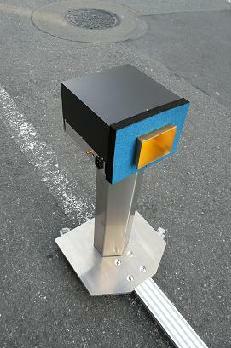 RAT05 is an evaluation (measurement) system for impulse radars operating at 24 GHz or 76 GHz. It also measures the spatial pattern of the electromagnetic wave when the radar is on board. Focus millimeter wave by a lens and irradiate a measurement sample with it, you can measure reflection amount accurately. Powerful work bench for the alignment of the radar behind the car bumper and characterization of radar cover (insertion loss and beam tilt). With this system, you can evaluate the impact (transmission attenuation) of emblems on millimeter-wave beams. This system can measure the round-trip transmission attenuation, something that is not possible with conventional models. When fixing a collision avoidance radar behind an emblem, it is necessary to make transmission attenuation amount and tilt angle (curving angle) small. 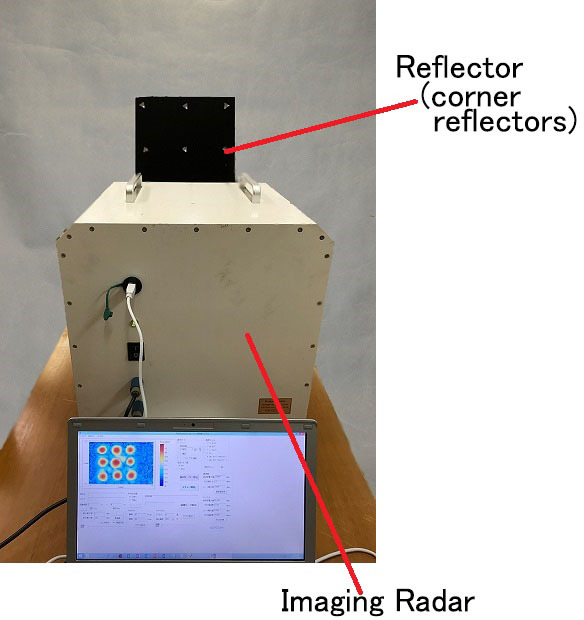 This is a system to visualize reflected electric wave by using an imaging radar. Keycom's electric wave absorption sheets are developed and manufactured with highly accurate measurement system for εr', μ'r and wave absorption amount. We are celebrating our 25th anniversary! !